Many firms are too busy fighting current cyber threats to plan for the future. 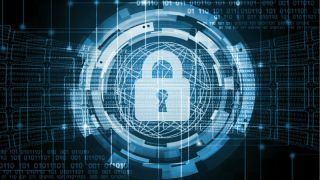 Businesses are too busy fighting current cyber-threats to focus on what might be around the corner, new research has claimed. Findings from Accenture discovered that 51 per cent of businesses and their CSOs are under increasing pressure. Half of them are saying they have more responsibilities than they can handle, and these just keep piling up. The research is based on a poll of 1,500 executives working worldwide. Almost three quarters of them (70 per cent) are certain that cyber-security efforts must change if they want to be protected. They’re saying that too many businesses are ‘stuck in traditional investment cycles’, focusing their budgets on protecting IT systems and servers, while neglecting data, as well as various connections between their networks and the outside world. “Businesses need a cyber security policy that makes them more resilient as the nature of threats changes quickly,” said Nick Taylor, Accenture Security Lead, UK and Ireland. There’s a disconnect between CISOs and the rest of the business which, according to the report, is one of the biggest upcoming challenges. Communication also needs to be tighter, as these to “do not speak the same language”.